Access radio stations cater to niche audiences that are otherwise not well served by broadcast media. Access radio allows groups to produce and broadcast programmes for their own regions and communities. You can find specialist programmes on almost any topic you can imagine, created by people and groups in local communities. To make it easier for the broadcasters to share content and for audiences everywhere to find content they want, we also fund Access Internet Radio. This web platform provides hundreds of podcasts representing our diverse communities. Topics include culture, language, politics, gender, health and disability, children and youth and religious belief. Access radio stations are not-for-profit and are largely run by volunteers. Funding for Access radio stations ranges from $135,000 to $250,000 annually depending on size. You can find out more about Access Radio from the Association of Community Access Broadcasters. 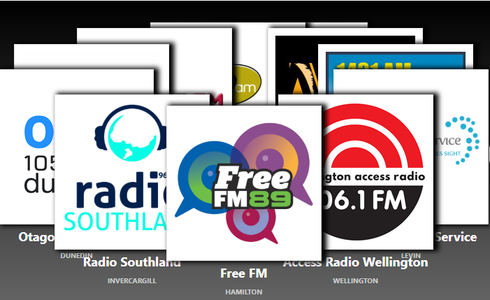 In May 2018 NZ On Air initiated a review of community access radio. This was a regular scheduled review. NZ On Air aims to review one area of funding investment each year to ensure our investments continue to serve the targeted audiences. We appointed Dr Matt Mollgaard, Curriculum leader, Radio at AUT to carry out this review. The Platforms funding stream is a closed fund for existing funded entities who deliver services to create and deliver audio/visual public media content of particular cultural or social value. Applications for new platforms will not be considered. All applications must be made through our online application system. Platform funding applications are next due 21 March 2019. Application guidelines will be be available closer to the time. If you are interested in starting up a new access radio station in your community you can talk to a funding advisor on 04 382 9524. Although please note we do not have funding available for new stations at this time.